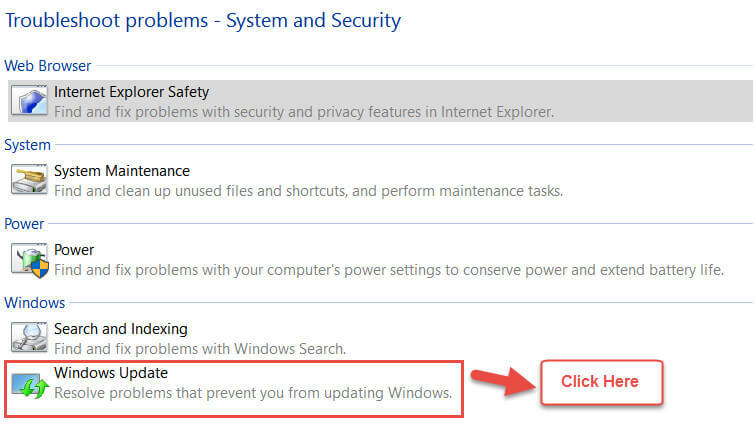 Are you unable to update your Windows 10 PC/Laptop due to Update Error 0x80240fff? If yes then you are at the right place, in this blog you will learn all about Windows 10 Update Error 0x80240fff such as reasons of this error, preventions of update errors, tips to fix Update Error 0x80240fff and more. There are lots of Windows 10 users who are suffering from update error code 0x80240fff, this error is very common for Windows 10 users and if you are using Windows 10 build 10240 then you will defiantly face this error one day. This error code not only blocks users from updating their system to the latest updates but can also prevent them from using latest features and enhanced PC/laptop experience. An outdated computer may also lead to serious problems and even make your PC/Laptop risky. So, in order to boost system’s security and protect your computer from unwanted attack, you need to get rid of this error code and update your system. Now coming to the point, the 0x80240fff error is also a very irritating error that prevents the system from searching for the available updates and hence users cannot download and install them. This method verifies three things mainly. The Windows Update Service running or not. NOTE: Make sure that your computer must be properly connected to the Internet. Search for the Background Intelligent Transfer Service (BITS) from the available list of services. 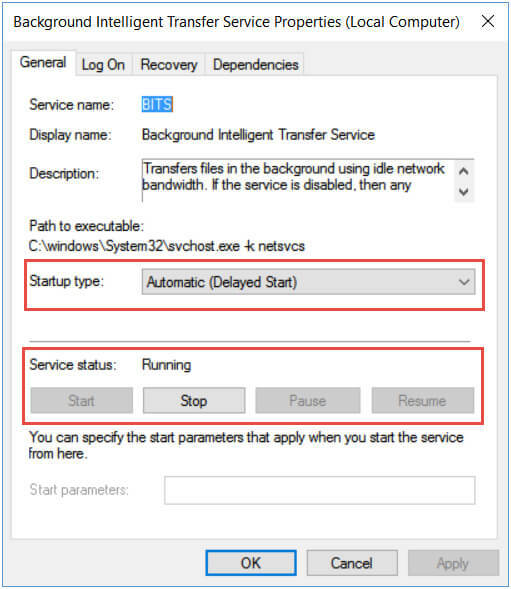 Choose from Background Intelligent Transfer Service (BITS) service, right click on it and select “Restart”. Now, double-click to open the properties of the Service and make sure that Automatic (Delayed Start) option is selected. If not, then select it, and then click on Apply button. At the left side of panel, you will find the Turn windows firewall on /off option. 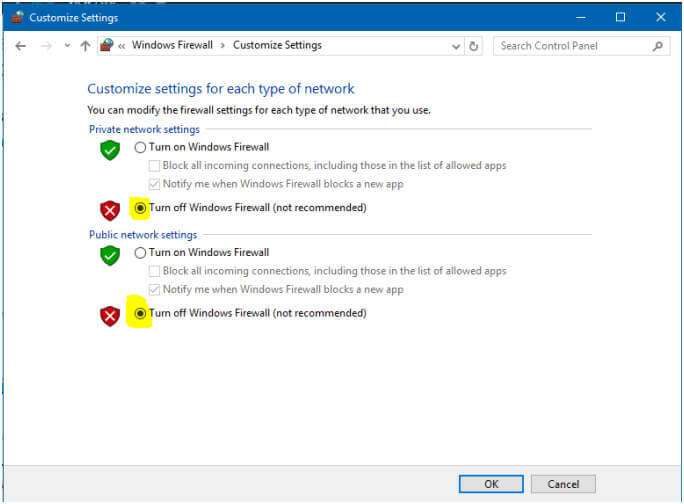 Here, select the Turn off windows firewall in private and public network options. 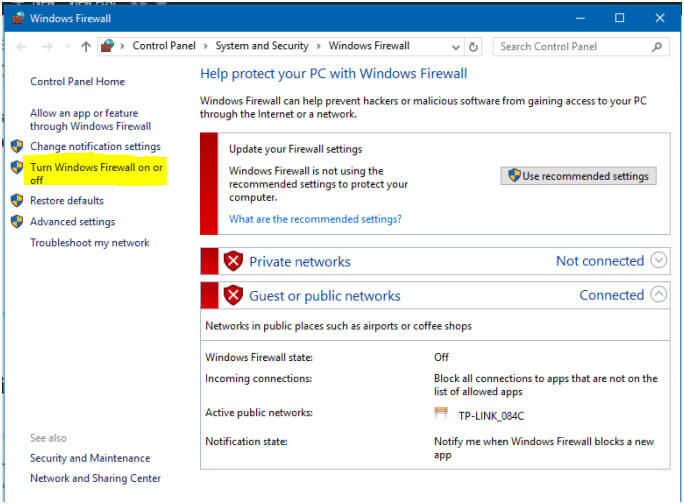 After turning off firewall option try to update your system and if 0x80240fff windows update error gets fixed then you should enable the windows firewall application again. To verify Windows system files you need to run the SFC command with the help of admin privilege. To do this, follow the below-given steps. Right click on the cmd and select Run As Administrator option. Now you have to type “SFC/SCANNOW” and press ENTER key to run this command. This command will take some time to finish as it cans the entire system files for their integrity and fixes the corrupted system files. Hit enter key to run this command. This command will take time to restore system health. 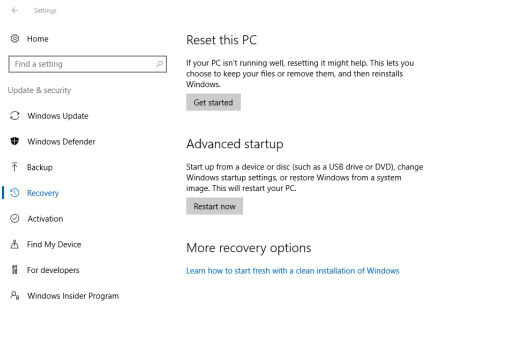 Resetting Windows OS is only recommended when you don’t have much data on your PC/Laptop. As it takes lots of time to create the backup of existing files and install your current application again. Go to the Cortana Search Box -> type “RESET PC” and choose RESET PC from the results. After it, under the RESET PC, you need to click on the get started button to proceed. 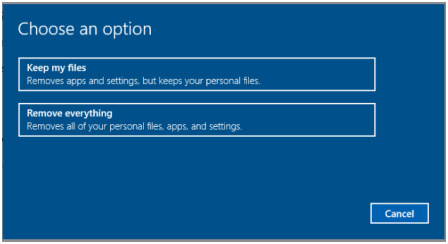 Here in this window, you will find two options to keep your files and complete clean. Note: It is recommended to take backup of your desktop files, images, downloads, documents before choosing the complete clean option. After resetting process you can easily update your system. 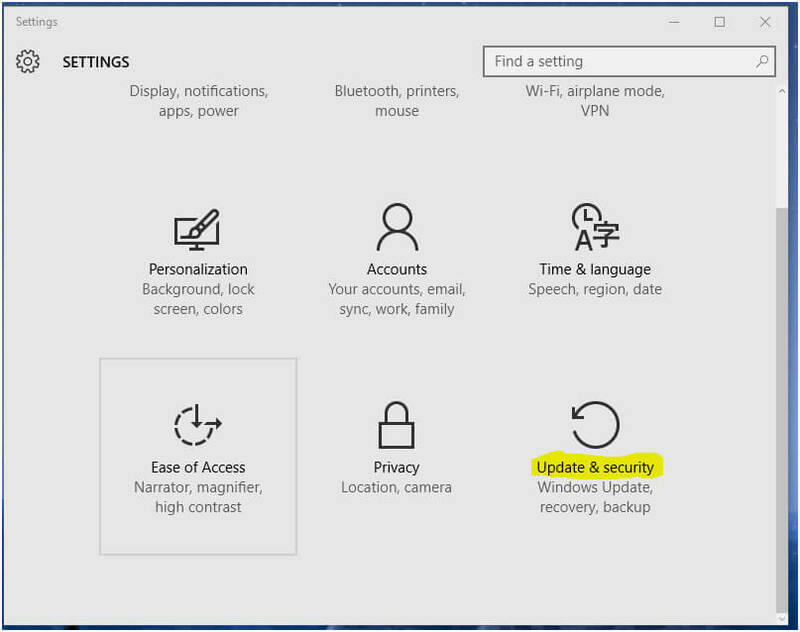 For the Windows 10 PRO, Enterprise, and Education Users this is the only method through which the user can fix this update issue. Press Windows Key + I from your keyboard and navigate to the Update & security option. 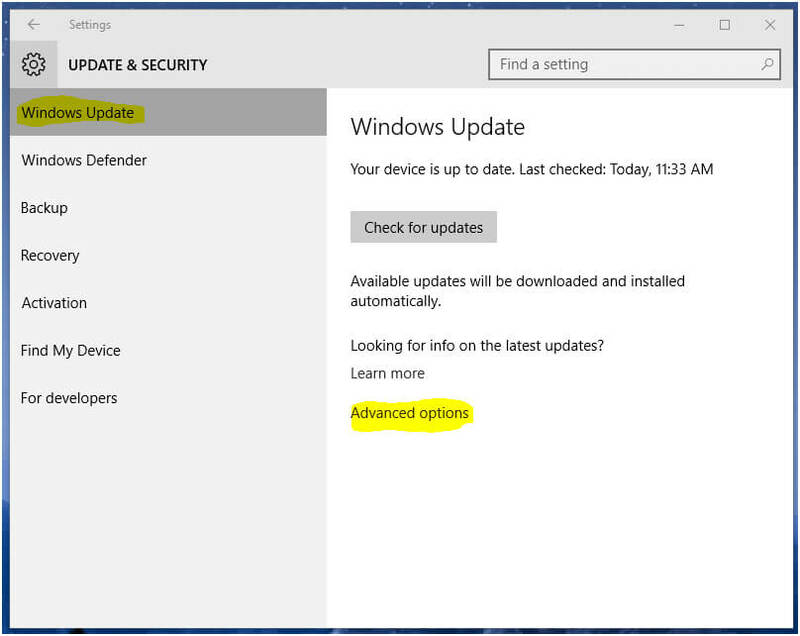 Under the Windows Update Tab look for the “Advanced Options“. After opening the Advanced options, find the checkbox with “Defer upgrades“. If this option is already ticked then uncheck it and look for updates. But in case, the option was un-ticked then it is recommended to tick it and then look for updates. 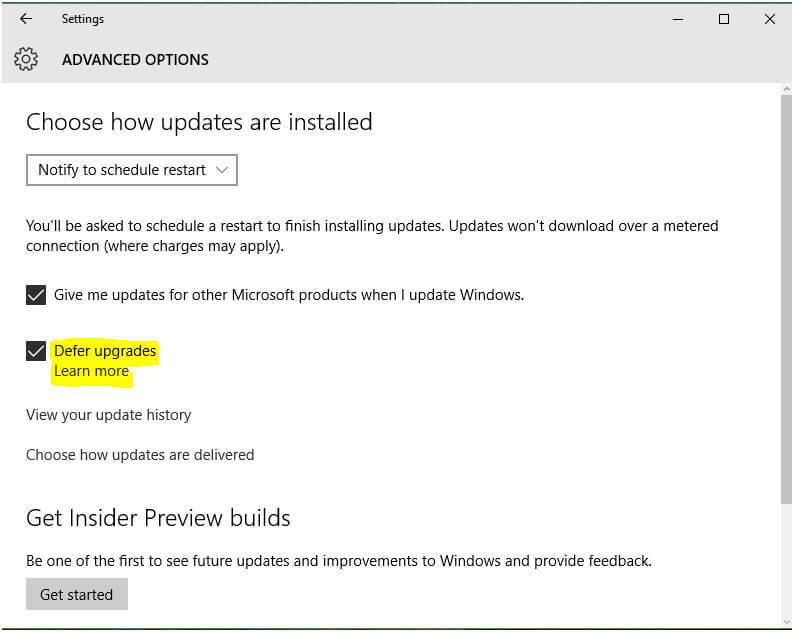 Generally, by enabling “Defer upgrades” the update error 0x80240FFF gets disappear and the user can easily update their system. That’s all, no matter what are the reasons for this issue as you need to apply all the above-given solutions based on your Operating System. We can see that, Windows 10 home user has various tricks to solve the error but others like Windows 10 Pro, Enterprise, and Education Users only have a single method that can help them to overcome from this kind of update error. After fixing Windows 10 Update Error 0x80240fff, it is also recommended to scan your system with a professional PC Error Repair Tool. This software is specially designed to deal with all kinds of PC related issues which can’t be solved by manual solutions. So, scan your PC with your Windows 10 computer or laptop and make them error free completely. [Solved] How to Fix WHEA_UNCORRECTABLE_ERROR For Windows 10, 8, 7? [Solved] How to Fix PFN_LIST_CORRUPT Blue Screen Errors (0x0000004E)?